In 2015 the FCC voted to reclassify ISPs under Title II to force them to treat all internet data equally. The data streaming from Netflix would be treated the same as data streaming from Hulu. News coming from Foxnews would be treated the same as news from MSNBC regardless of who you get your internet from. Removal of Net Neutrality would allow ISPs to speed up Netflix traffic because they paid $20 million, but slow down Hulu because they haven’t paid the ransom. Republican, former Verizon shill, and FCC Chairman Ajit Pai would like people to believe Net Neutrality is somehow government overreach and gives the government the ability to not only restrict innovation, but allow the government to regulate yet another service that you use. This is obviously false because the only regulation imposed on ISPs is that they are forced to treat all data equally. The FCC opened the decision to remove Net Neutrality to public comment, but it was flooded with Russian and fake accounts praising the decision to remove Net Neutrality. Even with knowledge of fake comments, the FCC is still moving forward with the formal vote. Republicans would lead people to believe that removing Title II restrictions will allow innovation and expand the internet. This is also a lie. Anyone who’s paid for cable or internet should know that bundled packages are almost forced on the consumer when they sign up. “Why pay $69 for 25Mbps data when you can pay $89 for 40Mbps data and get basic cable for free?” To some, this sounds like a better deal, but to many, it’s probably not. If an ISP can offer you better/faster service, it’s because they can do it for free. The infrastructure is already there, they just aren’t using it because you aren’t paying for it. That extra $20 is used to pay one person $15/hr to click a button one time and talk to you for the next 20 minutes about how entering this contract will be more beneficial to you for the next 2 years. Did you need basic cable? Did you really want to spend an extra $20 on services you probably won’t use? What if your cable/internet company said the only way you could get 150Mbps internet was if you signed up for a phone/internet/cable package for $200/month? 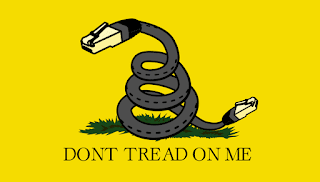 This is the road we’re going down with the removal of Net Neutrality. What if you live in an area where you can only get cable/internet services from one company? That company would be free to charge you any amount of money just to access the internet if they choose to do so. I’m sure the consumer would be told how expensive it is to provide such services and it’s actually a discount to provide said services for only $250/month…..services you probably don’t need, use, or want since you have a cell phone and get most of your news via the internet. Aside from forcing consumers into packages, ISPs could force media providers (Netflix, Hulu, Sling, etc) to pay to allow their data to be “fastlaned”. This means that Verizon could say that their streaming service (Go90) is allowed full 40Mbps access on their network, but Netflix is capped at only 4Mbps unless they pay for better service. Netflix would be forced to pay extra fees in order to provide a quality service to their consumers, and that cost would eventually be pushed down to the consumer. Netflix just increased their cost for the basic tier to $10.99/month. It’s easy to believe the cost would jump another $3-$5/month to cover the increased cost to fastlane their data. Netflix, Hulu, Youtube (Google) would be able to consume these increased cost with minimal costs to the end user. But will PlaystationVue, Sling, FuboTv, USTVnow, etc. be able to only increase costs a few dollars? Or will they have to raise their costs $20-$30 just to compete and eventually end their service because they are shedding users due to high costs? The endstate is the fact that your cable/internet costs will go up with the passing of Net Neutrality removal. It’s going to happen because it benefits big corporations and the stock market, and these are two things Republicans care about. The FCC will get sued by groups like the ACLU and the cable/ISP market will be in flux for the next year or two as this battle makes its way through the court system. ISPs will increase costs just in case the vote gets overturned, and smaller media providers will increase costs to prep their users in case costs will have to go up even more in the future. Net Neutrality is a consumer protection that needs to be kept. Anyone saying that removal of Net Neutrality will help you is lying. 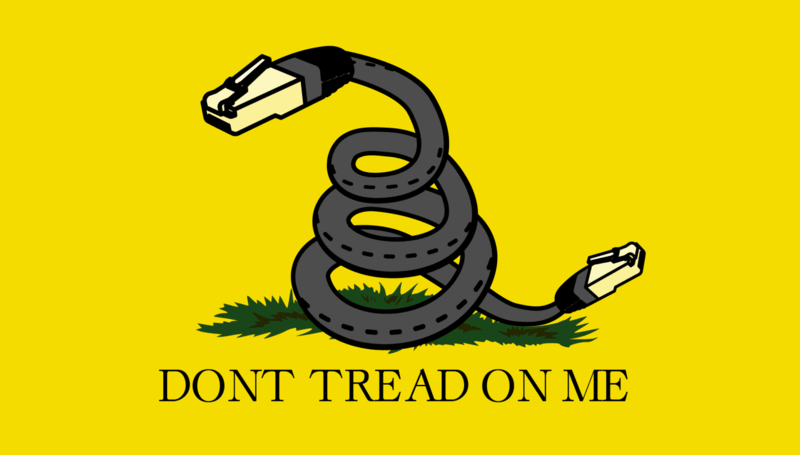 It doesn’t matter how pretty of a package they sell you about innovation and government overreach it’s all just a way to reduce ISPs to a handful of major companies that will monopolize the internet to steer you into bundled packages intended to make you pay more for services you probably don’t need or want. The end of Net Neutrality will cause you to pay more for cable and internet because big companies will force you to use their bundled packages or pay triple the rates if you don’t.